A full-time Registered Nurse is on site and monitors daily vital signs, provides ongoing health assessments, medication management, blood pressure, glucose monitoring, dressing changes, personal care, and coordination with physicians and families. Our Physical Therapist provides personalized therapeutic maintenance programs and group exercise classes to maintain mobility and strengthen endurance; promoting a sense of well-being and continued health. 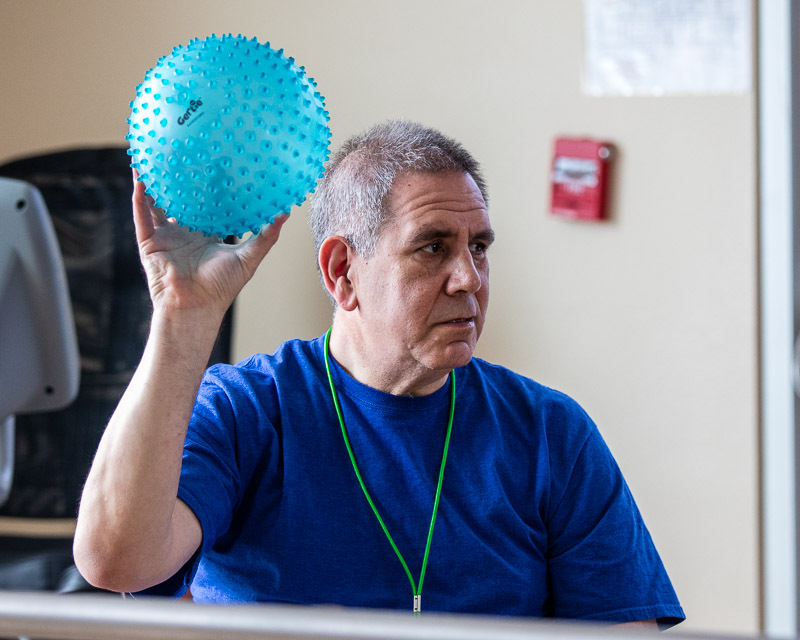 Our Occupational Therapist performs assessments, develops an individual care plan, provides therapy and education that promotes ongoing support in activities of daily living. Our goal is to keep people as independent as possible as the aging process progresses. A Speech Language Pathologist is on staff to assess and treat participants needing help with swallowing, simple and complex verbal expression, auditory processing, voice changes, and poor speech intelligibility. Registered Dietitician performs nutritional assessments and counseling, oversees the meal program, presents health topics, and provides 1:1 support for meal planning to our clients. Caregiver Support Group, private clinical consultation, benefits counseling, community support services linkage, ongoing mental status testing and monitoring, crisis intervention, home and family systems assessment, traumatic event debriefing and psychological first aid. Tailored activities for those with Alzheimer's or related dementia; special programs including a monthly Caregiver Support Group. Families, caregivers and their loved ones come to enjoy a cup of tea or coffee and a chance to socialize in a comfortable, non-judgmental atmosphere. We are a Music and Memory© certified provider. 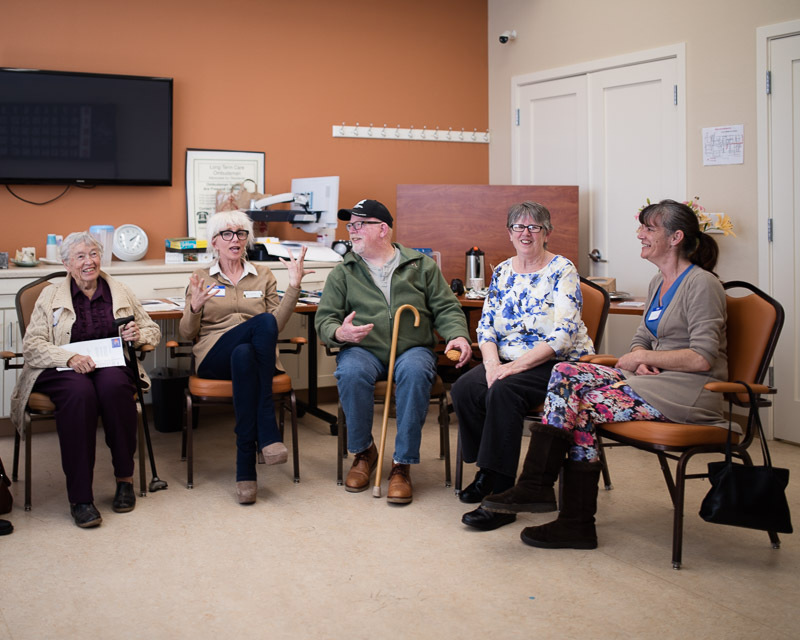 The Music and Memory Program helps people who suffer from a wide range of cognitive and physical challenges to find renewed meaning and connection in their lives through the gift of personalized music. For more information on this exciting and promising program: www.musicandmemory.org. Our resident furry therapists can turn any frown upside down. The ability to verbally communicate with others can be taken away as one's dementia progresses. When words lose their meaning, animals can bridge this communication gap. Led by our Activity Director, participants enjoy an individualized activity program that considers each person's preferences and strengths. We believe strongly in personal choice and are always adding dynamic new ideas. We tailor activities to be at times stimulating, and at times relaxing. 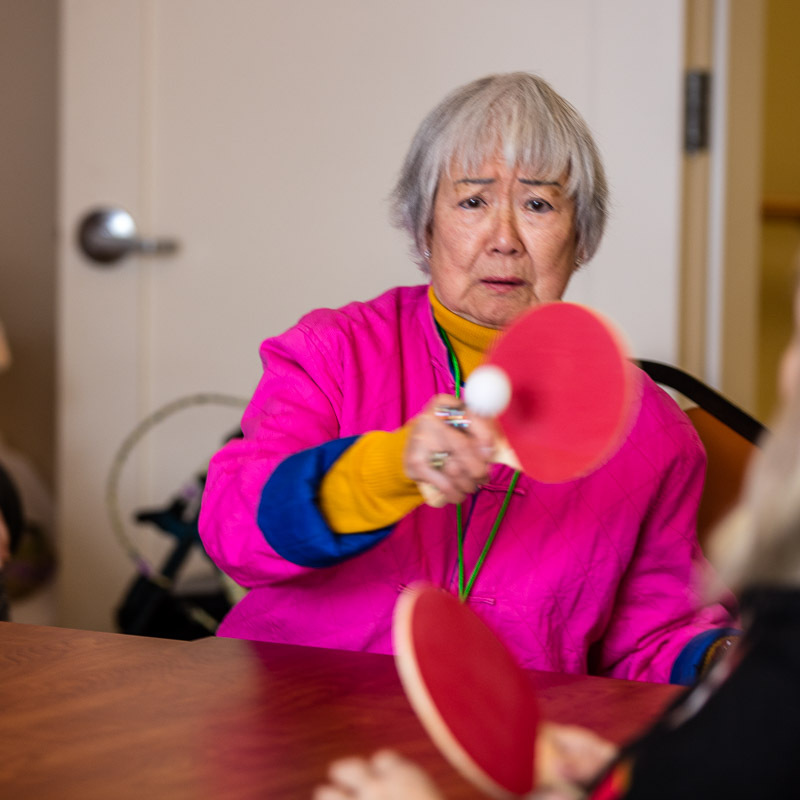 We offer arts and crafts, puzzles, "brain games" bingo, blackjack, ping pong, basketball, chair sports, live music, dancing, sing-a-longs, pet therapy, and a weekly spirituality group. From your front door to ours and back again! You can relax and leave the driving to us. 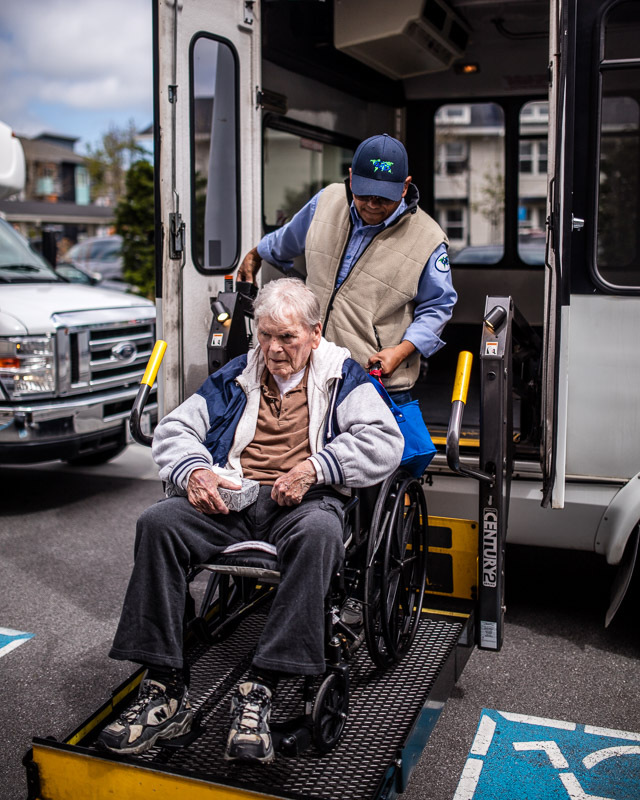 We can accommodate all forms of personal mobility and assistive devices. Safety is our primary concern, and we assist all clients to and from the Center. 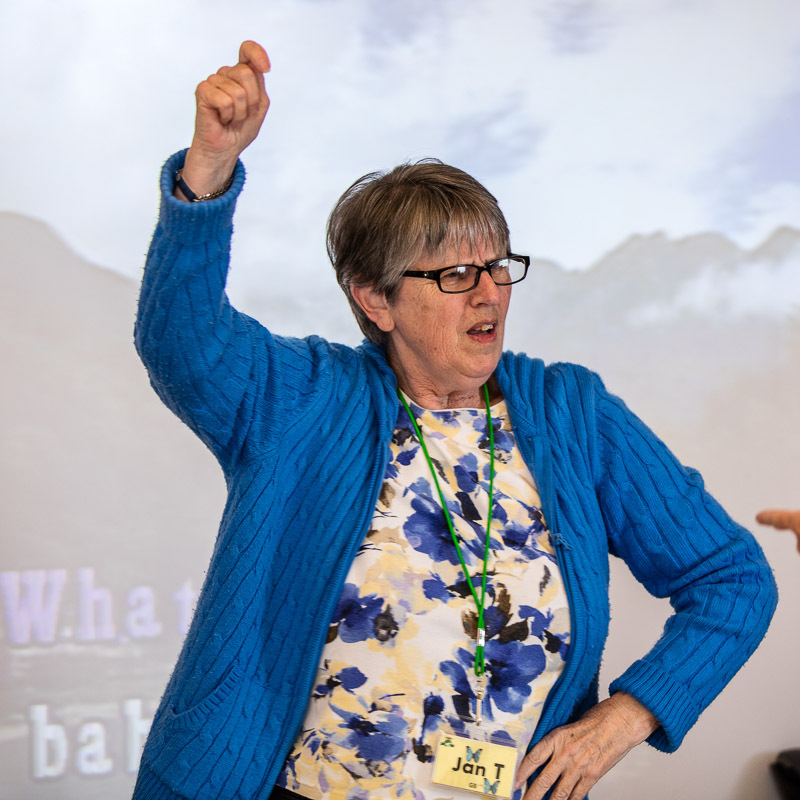 Celebration is a big part of Coastside Adult Day Health Center culture. Celebrations are numerous and include: observance of cultural holidays, visits from community organizations and schools, an annual luau with hula dancers, holiday parties, birthday celebrations, and a weekly ice cream social. The program hours are Monday through Friday, 10 AM – 2 PM. Our offices are open from 9 AM -4 PM. We accept Medi-Cal/Health Plan of San Mateo, Golden Gate Regional Center, Long-term Care Insurance and Veteran’s benefits. Private pay fees are based on a sliding scale. This group is for anyone who seeks a safe place to meet with others who are caring for family members or other persons with cognitive deficits or decline. Caregiving can be profoundly isolating, and the feelings that arise from its challenges are multi-layered and can be overwhelming. We meet the last Wednesday of every month from 12:30pm to 2:00pm. The group is facilitated by our licensed clinical social worker and features engaging and timely guest speakers. Refreshments are served. To be included in our caregiver mailing list please email Lynne Siracusa, LCSW at siracusa.cadhc@gmail.com or call 650-726-5067. You are not alone. Come and hear how others have encountered the challenges you thought were yours and yours alone. We will also help you rediscover the sense of humor you thought was long gone. We promise. Physical Therapy maintains mobility and strengthens endurance. Engaging group activities keep participants active. Special events offer a chance to celebrate and have fun! Door to door transportation means you can leave the driving to us. Our Caregiver Support Group offers a safe place to meet with others who facing similar challenges.